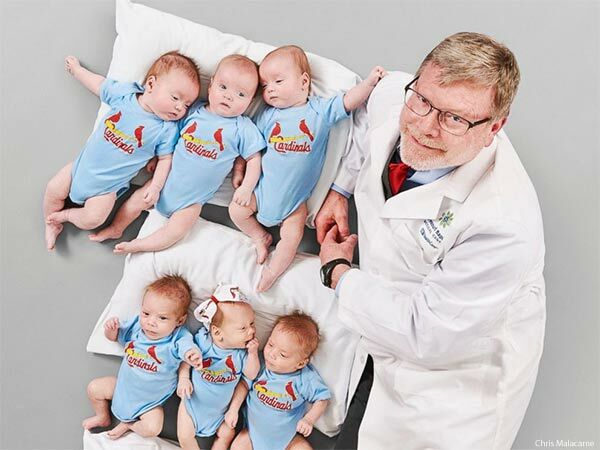 A St. Louis doctor delivered three sets of triplets within six weeks, and also connected the mothers for emotional support. 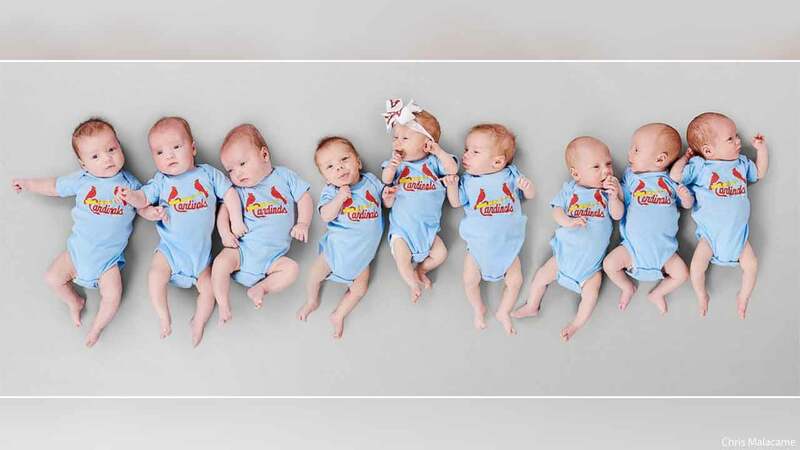 A doctor in St. Louis, Missouri delivered three sets of triplets within six weeks of each other - something his medical center is referring to as their resident "baseball team." Dr. Michael Paul of Missouri Baptist Medical Center said delivering that many triplets so close together is certainly a rarity. "Having three over a six week period of time pushes the limits of what we expect," Paul told ABC News. "We usually have about one set every three months and have four or five sets in a year." Though triplets in general typically involve higher-risk pregnancies, all nine of these children were born healthy, Paul said.